The Miracle Beans that nourished Egyptian pharoahs, Roman warriors, and are a staple in the Mediterranean diet. It’s the lupini bean, a flat, almost squarish bean that is part of the lupin family of legumes, a distant relative to the peanut. Our friends at BRAMI have pickled these beans, added various seasonings and created a healthy snack that is extremely high in protein (the highest protein-per-calorie of any plant on earth! ), low in carbohydrates and fat (zero net carbs! ), high in fiber (7 grams per serving), and rich in minerals like manganese, copper, magnesium, phosphorus, potassium, and zinc. Add to that, they are probiotic, easy to digest, have a low glycemic index, and are free of soy, gluten, and cholesterol. Choose from 5 flavors: Sea Salt, Garlic & Herb, Chili Lime, Balsamic & Herb, and Hot Pepper. 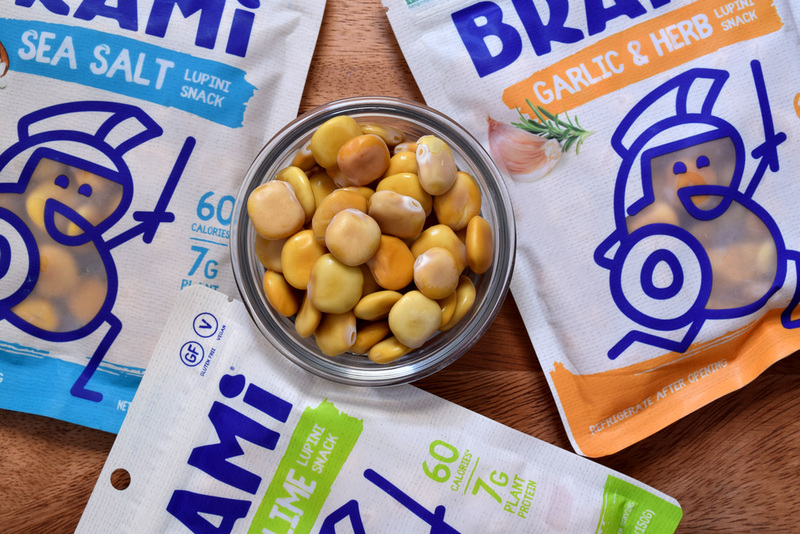 Look for BRAMI, the “Roman supersnack”, to fuel your next TrailblazerGirl adventure!